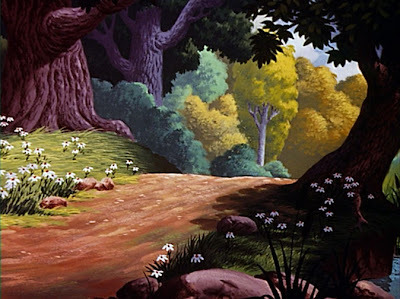 Animation Backgrounds: ALICE IN WONDERLAND: Follow That Rabbit! 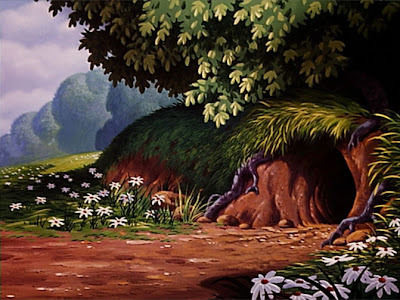 ALICE IN WONDERLAND: Follow That Rabbit! These are truly beautiful BGs. 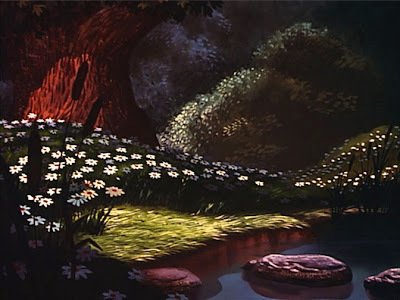 My favourites from this film must be in the Tulgey Wood sequence, which was very trippy indeed. I'm actually amazed by how the Disneyland ride resembles the movie! I just found yout blog by accident. I love the pics. I wish I could paint like that and have that stuff hanging in my house. Good work! Does this house look like Mary Blair? A New Companion Blog: NAME THIS TOON!